For Tuesday’s dinner I decided to try making vegetarian Sloppy Joes. This was pretty challenging to get the right flavor without the flavor that the meat usually brings to the dish. But I think I created something pretty close. Heat the oil in a large skillet. Add bell peppers, onions, and garlic. Saute until tender. Mix in the beans and spices, season with salt and pepper. Add in the remaining ingredients and let simmer for one hour. Serve with whole wheat buns and dill pickles. This looks intriguing! 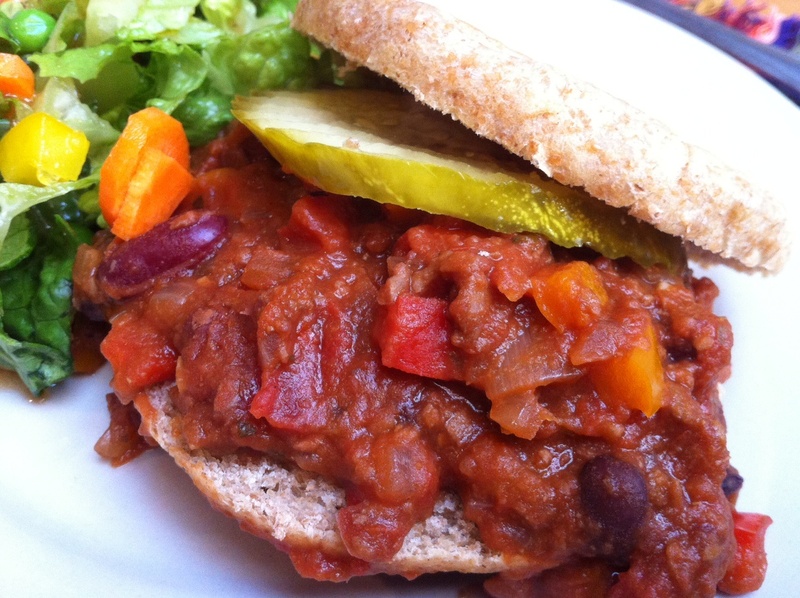 We made veggie sloppy joes a few weeks ago, but it was much simpler. Veggie crumbles, bell pepper, a basic sauce leaning heavily on BBQ sauce. Definitely have to try this one out.